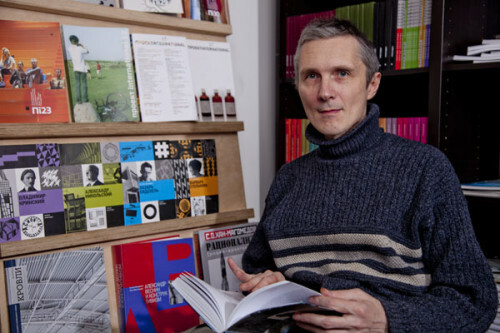 Sergey Sitar – is an architect, critic, editor for the Theory Section of Project International Magazine and leader of the History and Theory of Architecture and Urbanism Module at MARCH School of Architecture studied at the South California Institute of Architecture in LA (Sci-Arch) in 1991 – 1992 and graduated from Moscow Architecture Institute in 1996. In collaboration with Bart Goldhoorne, he established Project Russia architectural magazine, working on that project as a writer, deputy editor-in-chief and art director; currently he works there as editor of the Theory Section. In recent years, Sergey Sitar has been touring with lectures, teaching and working on strategic development projects for Russian regional cities, including Sochi. In 2013 the book “Architecture of external world” by Sergey Sitar was published. The book is the first monograph by the author where Sitar raises questions, answers for which are far beyond the theory of architecture. The term “system crisis” is being used more and more often to characterise the contemporary economic situation on which public relations are based. Can we then apply the term to modern architecture? I think, yes. Architecture is closely connected with everything in life; it has always been organically connected with the management system and political sphere. Its direct intercommunication with the economy is evident if for no other reason than the fact that the word “economy” derives from “oikos” which means “house,” “household”. In such countries as, for example, Japan, Holland and Finland, architecture has come to figure among the government policy priorities. In such situations, the government is not only a customer who needs buildings of high quality, but is placing its stake on national architecture as something to get recognition in the world and consequently transform it into an important intellectual export item. In such countries, the crisis has resulted in a slump in government support. Furthermore, the crisis travelled around all the continents in a form of development crisis – architects who work mostly with corporate clients were simply left without orders. A number of huge projects were stopped in Los Angeles and New York, and a wave of falling investment in the building industry hit all of Europe and, of course, quickly reached Russia. And from the point of view of culture? In the cultural, art and ideological fields, the crisis, many think, is evident too. The last stage of architecture development was defined by a general American and European trend which received the name “postmodernism.” This trend involved an expression of critical reaction towards “modernism,” representing an attempt to make the language of architecture and art international, universal, and extra-​historical. One way or another, by the 1960s the frameworks of such language were formed. However, from the middle to late ‘60s it became subject to systematic criticism. Reproaches were hurled at modernism for its tolerance, monotony, for its ignorance of cultural differences and history. But as a result, instead of modernism as a unified rational method which allows for the solution of a wide range of tridimensional tasks, there then came the architecture of affectus and caprice, in point of fact aimed at one-​time impression. Extravagant and intricate design concepts which can “shake” spectators, astonish them became a pattern to follow – like in show business and advertising. As far as the number of such buildings rises, comprises contradictive space fulfilled with discords. Collective dimension of the city disappears. One more important aspect is the aggravation of the process which can conditionally be called a process of semiotisation or “symbolisation” of life. Such huge communities as modern cities cannot be “cemented” together with direct physical contacts, and so the sphere of information and long distance communications comes to the fore. It’s fraught with inconvertible perception and mentality moves into the sphere of signs. Instead of cultivation of sensitivity to nuances and primary physical perception, to which traditional architecture was aimed, we are now getting used to consume things as signs. In postmodernist architecture the determinant moment is not the meeting of a building with onlookers and its local society, but its demonstration in the media – success is measured by the number of publications. According to such changes the method of resolving architectural tasks crosses over to this “sign régime” of architecture’s functioning. 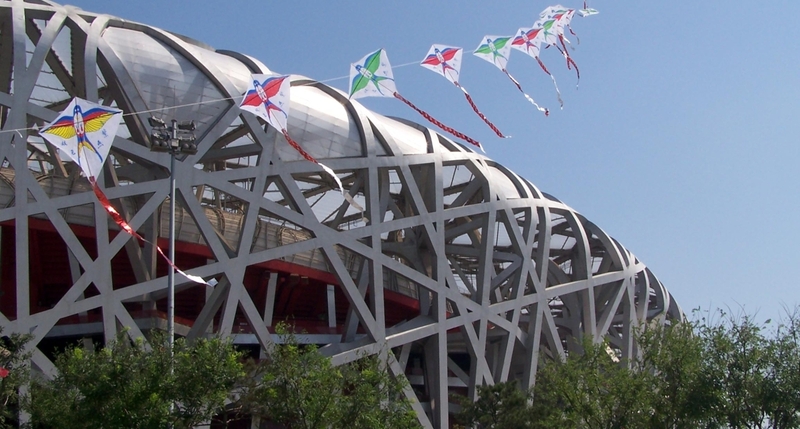 For example, the building of the Beijing Olympic Stadium in the form of a nest constructed by Herzog and DeMeuron was a brilliant context for journalistic reports and informational programmes, though in real scale it is a shrill assertion, which might be embarrassing and hard to live with for people in the city. You teach in the Moscow school of architecture MARCH. Do young architects have a feeling of crisis? A part of our students have this feeling, and sometimes it is close to despair and an aspiration to change the situation by any means. Instinctively or reflexively everybody admits that architecture has lost its foundational mission connected with the forming and harmonisation of space, with the creation of prerequisites for inhabitation of a man in the full sense of the word, fulfilling the potential of a man’s life. Instead of this, architecture is totally led by the nose by up-​to-​the-​minute conjuncture, by the vanity of market relationships. What is the core of the crisis? How does it show up? I have pondered this question in practice from the beginning of my work as architectural critic and gradually came to regard the key symptom of the disease in an all-​round tense and frankly superfluous affectation. It looks like an architect tries at all costs to prove his relevancy, to defend and confirm his profession – constructive design – as a certain sector of production. And with every constructional solution, he strives to show that he can create something that has never been made anywhere before. So the great majority of the architectural projects of recent decades suffer from pretentiousness, a lack of composure and dignity. They distinctively try to influence spectators, inculcate in them something, shouting loudly. All that is prescribed by the development of an information economy where attention is the most valuable thing. The result is a sequence of shouts from which a symphony of inhabited space cannot be composed. The perspective of the city as an “ensemble” has dropped right off the grid recently. Despite a crowd of appeals and declarations, neoliberal policy concerning the city comes down time and again to the laissez faire model– the policy of drift. Can you see a way to overcome the crisis? It may sound incredible but the solution will be connected with an increase in global integration in the 21st century: if the persistent contradictions and “meticulous” competition at the world political elites’ level are overcome, we will be able to see, even more clearly than in the epoch of modernism, the entire space of people’s inhabitance as one whole field for creative collaboration. This stage certainly will be criticised as yet another cycle of globalisation, but in this way a new set of permanent guidelines and behavioural models will appear, so it strikes me. It is essential that this change be based on the acceptance of the priority of culture over monetary economy and various forms of political administration. Sorry for making a pompous statement, but it is culture that enables a man to feel a touch of essence, not business or politics. There is a belief that culture has the ability to become a kind of a launching pad into city development – from economic and social points of view, its competitive recovery. 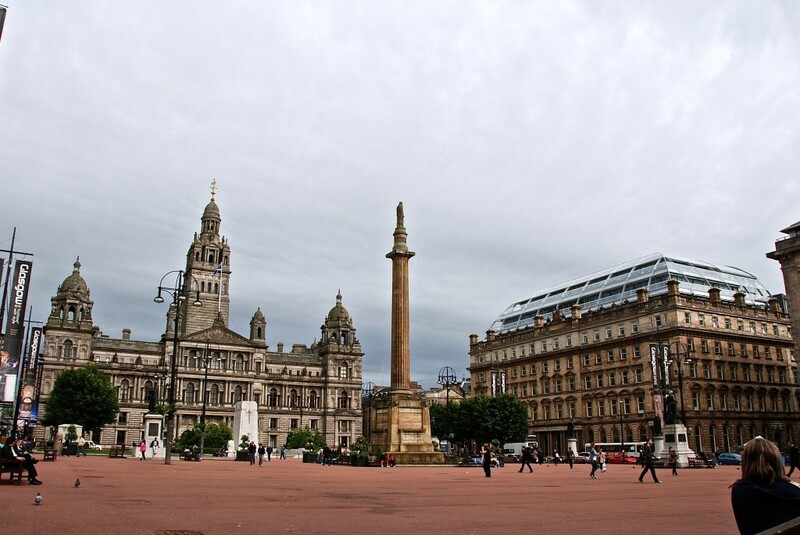 It happened, for example, in Glasgow: comparatively small financial investments led to profound changes. Do you agree with the statement that culture may become a key driver of city development? Essentially the city is a culture itself. The fact that culture today is becoming once again a centre and a driver of development is a distant echo of the theocentric age under the aegis of which European institutions of education, science, fine arts, music, architecture and many other things appeared and developed. Historically, the religious cult was the heart of the city and all styles and genres of art known today derived from the creative practices related to temple decoration and religious observances. On the other hand, since the Renaissance we have lived in the context of a constantly deepening process of secularisation: the temple is steadily pushed out to the periphery of public attention, to the historical “margins”. Meanwhile, art, which is no longer an illustration to religious text despite still having a reflection of the sacral function to it, was and is in high demand. Moreover, the museum of contemporary art happens to be the most successful candidate for the role of the successor to the temple and royal palace as symbolic centres of city life. 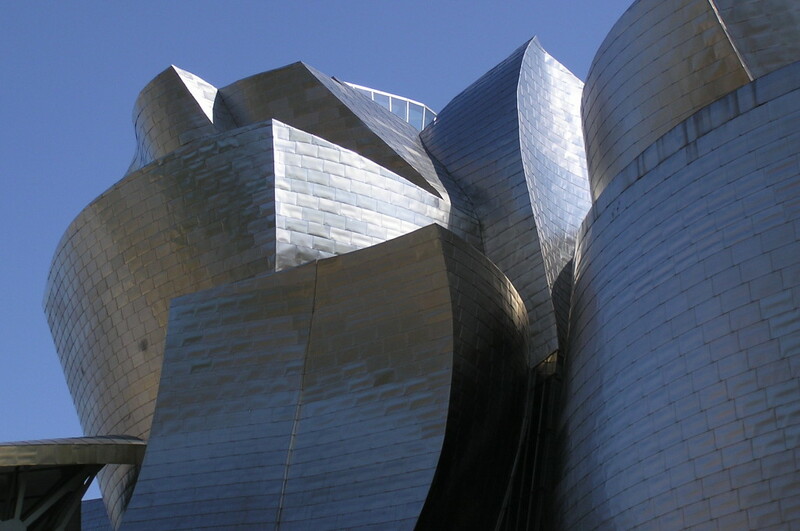 The most famous example of the recent past is the mind-​bending structure of the Guggenheim Museum, on the project of Frank Gehry in Bilbao. Although we should always take such projects with a grain of salt, first of all from the economic point of view: yes, in the case of Bilbao the strategy worked, the attention of the world was attracted but it didn’t guarantee – even in combination with other stimulating measures – complete recovery of the city economy after industrial decay. Though the idea to revive cities that have suffered from deindustrialisation certainly appeals to me. Is this a feasible approach to use in Russian cities? In the post-​Soviet period the sphere of city consulting started to develop rapidly in Russia, and many cities and even whole regions managed to acquire development strategies of various kinds, where in one way or another a bet is made on so-​called territory branding. The term wounds the ear unbearably, but nevertheless some quite successful examples of city brand building with the support of cultural projects have appeared. 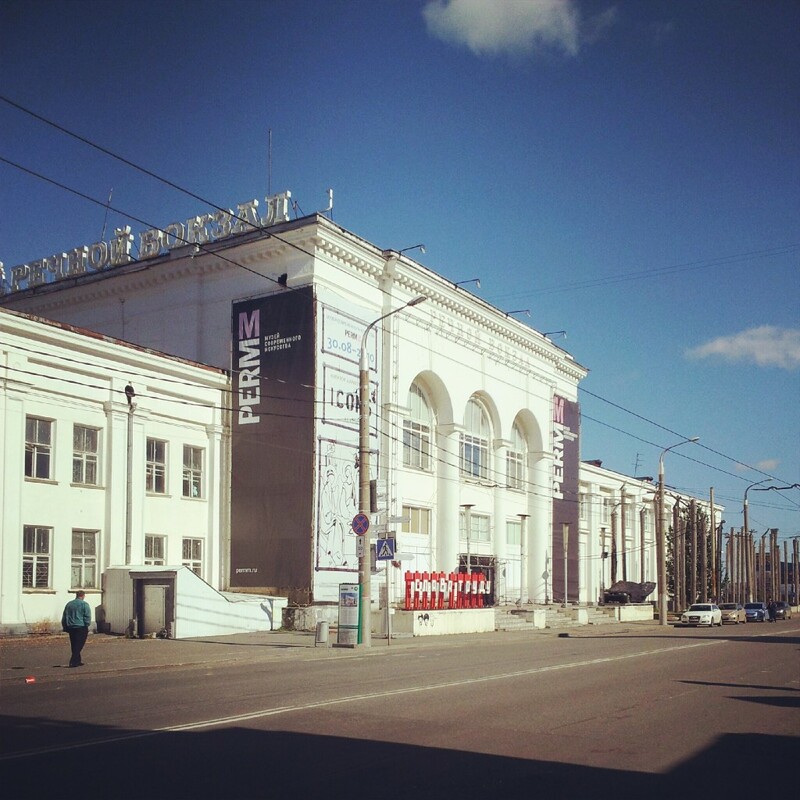 For instance, we have the Siberian town of Kansk, where the Kansk International Avant-​garde Advertising Festival was organised with support from the Prokhorov Fund. The Festival became a starting point for a range of other interesting initiatives. Among the most widely known examples is Perm, where Oleg Chirkunov, the ex-​governor of the territory, ventured upon a range of innovative cultural projects, and not at the instigation of the federal centre but in the wake of the policy of strengthening regional autonomy. Such cities as Yekaterinburg, Krasnoyarsk, Novosibirsk and Voronezh also have a high potential. The first named even took part in the competition to host the Expo 2020 world exhibition. Maybe this step was too ambitious and was bound to be defeated but with such steps we will gradually get to the new level of global connectivity. Who should be the initiator of culture promotion? In our country frequently a clear directive is needed to start drastic changes. This emphatic centralism – the “vertical” hierarchy – is the historic distinctiveness of our political framework. Broadly speaking, a political system isn’t just government institutions, but a model of everyday relations, working “from top to bottom” even to the relationship between a tenant and a yard-​keeper. Sometimes the illusion of drastic historical change appears but these “whirlwinds” rapidly give way to periods of stabilisation. We’ve just bidden farewell to monarchy and in the next breath we get a “leader of nations”. Perestroika generated hopes that we could leap in one go to a real multi-​party régime but such shifts demand long-​term historical “maturation,” a gradual change in all manner of interactions between people. Even countries positioning themselves as a democracy model have, in practice, quite obvious features of traditional caste and oligarchical organisation. In talking about culture as a city development tool, don’t we downgrade culture itself? Might it not lead to a development trend bias towards “earthbound” values, city development “efficiency”? Actually, it’s essential to be aware of the difference in the means by which cultural policy is and can be implemented. I mean, the difference between culture itself (as it was defined by Spengler) and that which was named the “cultural industry” by philosophers of the Frankfurt School. Industrialisation and modernism already were by nature a hard-​hitting attack on a mytho-​symbolical system by informational paradigm, because they brought procedures of standardisation and management rationalisation that demanded a switch of culture to the sign-​communication régime, meaning the transformation of things and actions into implicative easily transforming signs. Consequently, in the place of traditional culture oriented on metaphysics and spiritual search, there comes the so-​called mass culture organised by the example of industry, with its management and scientific andtechnological tools of control and accounting (television, pop-​music, etc.). The so-​called “biennale movement” is developing along the same current. It transforms culture into a kind of transnational corporation consistently subjecting any author’s expression to its standardised operational algorithm. Neoliberal reforms of former cultural institutions starting in the 1980s are of the same character. For example, the reorganisation of museums which regards attendance as a quantitative indicator of museums’ effectiveness, as something of paramount importance. In other words, everything is developing towards automisation and hegemony statistical perception. To a certain extent it is a “natural” process, which doesn’t mean, needless to say, that metaphysics is getting irretrievably lost. It just becomes more “castaway” – which brings it into proximity with its own essence.